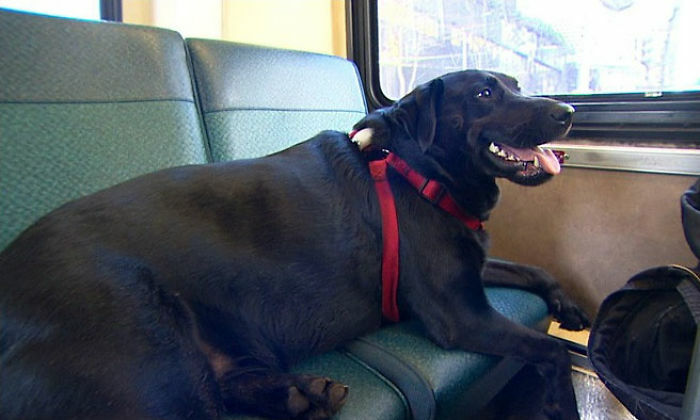 Eclipse, a black Labrador and Mastiff mix is Seattle’s famous bus-riding dog. She regularly takes the bus by herself and knows exactly where her stop is, and that made her quite popular among other commuters. 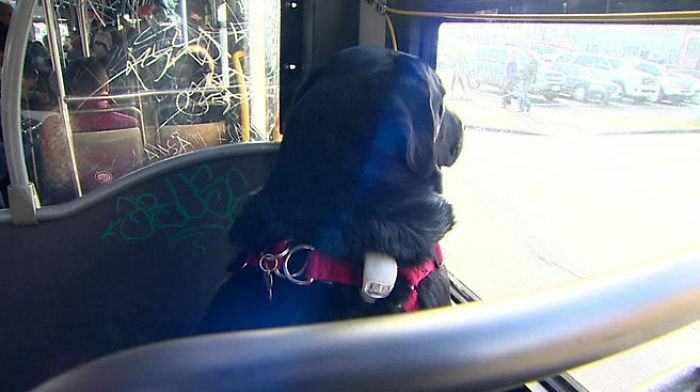 Her bus-riding adventure began one day at the bus stop, when her owner, Jeff Young, took long to finish his cigarette. Upon the arrival of the bus, Eclipse hopped in without him, and just got off to the park where they were headed together. Eclipse enjoys the bus-riding so much she took her solitary trips to the park almost every day since then, meeting her owner later on directly at the park. 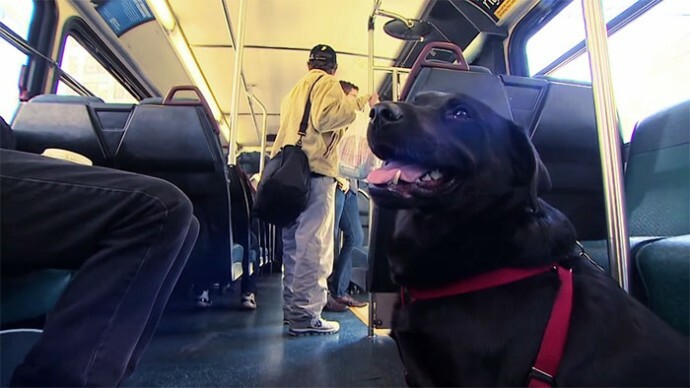 This is Eclipse, the four-legged, regular passenger of the D line bus in Seattle. She hops on the bus by herself and knows exactly where her stop is. She has a bus pass attached to her collar and gets off at the Belltown dog park to meet with her owner. Her owner, Jeff Young, once took too long to finish his cigarette and he didn’t get in the first bus that came their way. Eclipse, however, hopped in and got off the bus at the park. And that’s how her solo bus-riding adventure began. Since then, Jeff knew he could always just catch up with Eclipse at the park. 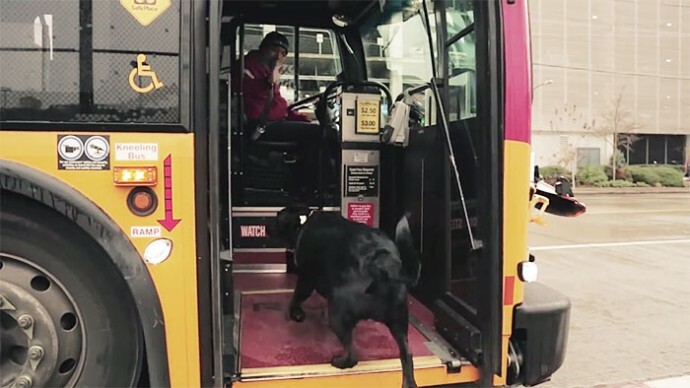 Dogs are allowed on buses in King County, at the driver’s discretion. After all, no one would ever deny a ride to such a smart and independent dog. Eclipse is a nice dog and poses no harm to other people. Drivers are always glad to offer Eclipse a ride since she brightens up the commuters’ day. Eclipse is a blessing to King County and everybody loves her presence.